Those contestants who ful fill eligibility criteria can submit SSB Constable Application Form before a closing date i.e. 06th of June 2017 via offline mode. 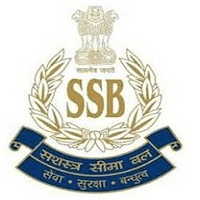 All the important details about Sashastra Seema Bal Constable Driver Vacancies are briefly mentioned here on this page. Candidates can read this article for more information related to the recruitment Now as per this advertisement, the Sashastra Seema Bal Recruitment 2017 is released to fill up total 355 vacancies of Constable GD (Driver, Cook, Washerman, Barber, Safaiwala and Water Carrier) in Group-C Non-Gazetted. Interested candidates can download SSB Constable Notification 2017 from a direct link provided below to this article. This opportunity is right for those who are looking for jobs after matriculation as they can apply to the SSB Recruitment notification. Applying job contenders must have Passed Matriculation (10th class) or its equivalent qualification from recognized Board. Candidate’s age should be not less than eighteen (18) years & not more than twenty three (23) years & Upper age limit will be relaxable for reserved candidates as per government of India rules and regulations. Selected candidates for Constable (GD) post will get the pay 15200-20200/- with Grade Pay of Rs. 2000/- from organization. Then candidates will go on the “News & Highlights” section which is located on the home page of SSB official site. Now candidates should select the appropriate job link. Now candidates need to attach all relevant testimonials and affix a passport size photograph. Applicants should put two Self addressed envelopes along with postage stamps.